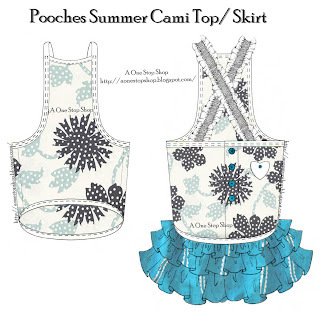 This Pooches Summer Cami Top / Skirt are perfect for this spring or summer, 2 outfits from 1 pattern. 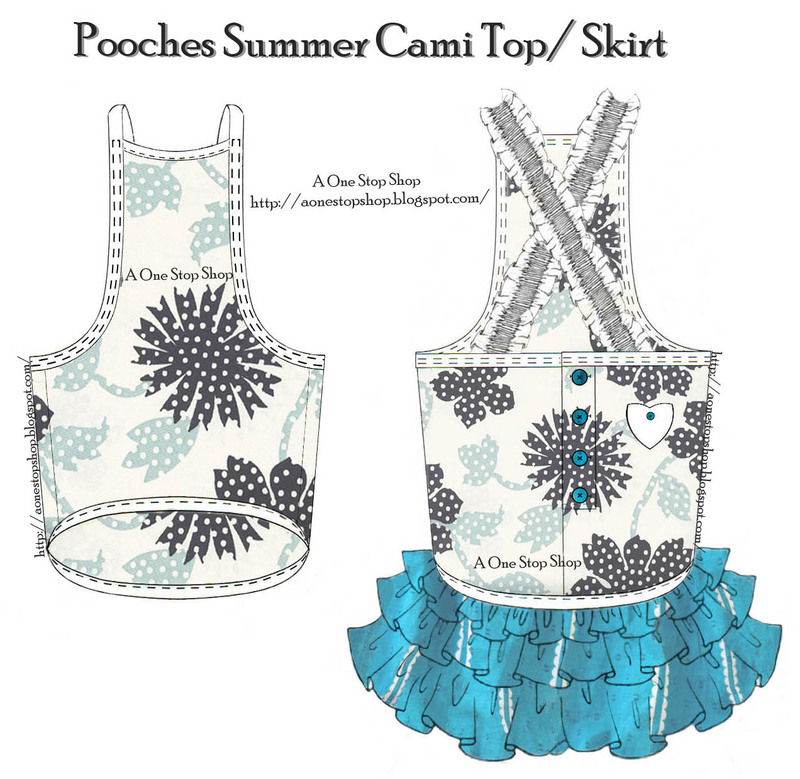 You can skip the ruffle skirt and make a cami top or you can make another outfit with the ruffle skirt. This is very easy to make and simple. You can just leave the cami straps plain with or without elastic or you can make an elastic fabric ruffle strap. If you are making a plain strap, my suggestion is to either attach it with a snap or button with buttonholes at the back binding. This way it will allow you to dress your dog easier. The best thing to do is to make an elastic strap. Elastic strap stretches, and it will sit on the body better and less of a hassle when you dress your dog. If you have any questions or need any help, feel free to leave me a comment or Contact Me directly, and I will do the best I can to help you. I have made this Center Back Placket a little different than the one I have made. As you can see in the picture, the one I made was half way down. The pattern I have created for you is all the way down to the binding where the ruffle and top meet. I thought maybe some of you prefer the functional placket to open up all the way. If you prefer the one in the picture, you can just make the slight adjustment. If you need help with shorten the placket, I would be happy to help you.